TG TOKONG FISHERMAN SHOUTED: NO PARTICIPATION BUT WORST CONDITION AFTER RECLAIMATION ! GEORGE TOWN: The Penang Fishermen’s Association (Pen Mutiara) has met a federal minister to object to the reclamation project by the state government in the southern part of the island. 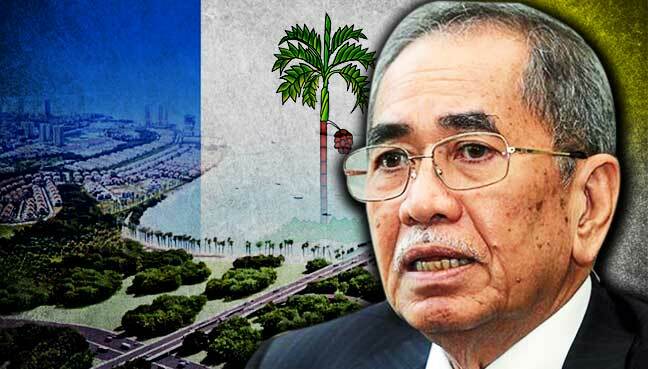 Natural Resources and Environment Minister Wan Junaidi Tuanku Jaafar said during the meeting last week, the group from Pen Mutiara expressed its worry over the loss of catch if the reclamation project were to take place. He said the matter raised by the fishermen was of utmost concern as it affected the marine ecosystem through pollution. He said the water quality would also be affected as the area was part of a narrow strait and a busy shipping route. “I was made to understand that this reclamation project would impact 50,000 family members of fishermen and fishermen themselves, who rely on the catch for a living. “The affected area is also an important area for breeding of prawns, and fishes such as senangin, kembung and more. “… (in view of the concerns raised) I have ordered departments under my ministry to conduct full research and report to me as soon as possible to resolve the problems,” he said in a statement today. Junaidi said departments such as the Department of Environment, Drainage and Irrigation Department, Hydraulic Research Institute of Malaysia and the Marine Parks Department had been told to start looking into the concerns of the fishermen immediately. The reclamation he referred to are the three islands being created to the south of the state to finance the RM27 billion Penang Transport Master Plan (PTMP). Under the plan, highways, a light-rail transit line and a monorail line will be built by the state government with the help of project delivery partner SRS Consortium. Previously, Penang executive councillor Chow Kon Yeow said no reclamation work had begun as the environmental impact assessment (EIA) was not yet ready. This was after Junaidi issued a statement in April asking the Penang government not to begin reclamation work without approval. Previous Previous post: LIHAT BAGAIMANA GIGIHNYA PEMIMPIN CHINA LAKSANAKAN WARISANYA DI PP – TKM 1 & EXCO MELAYU BUAT APA ?